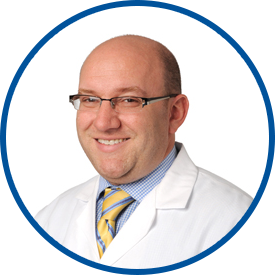 Before joining The Westchester Medical Group, Dr. Feuer served as a hospitalist at Westchester Medical Center. He is an Assistant Professor of Medicine at New York Medical College. Dr. Feuer is affiliated with White Plains Hospital Center and seeking privileges at Greenwich Hospital. Dr. Feuer is great. The nurse was also great and thorough and very nice during the visit. Knowledgeable w/a great bedside manner. That's all I need.